Ten minutes searching for car parking several times daily means more than 240 hours per year, and an average of 700 complete days in your life. Driving around looking for an available car slot wastes fuel, produces anxiety and increases pollution in city centers. Montpellier is a small French city of the region of Occitanie. Its 270,000 inhabitants suffer, as in every other city, from traffic jams and lack of available parking slots. This city has historically been pioneer in smart cities projects related to mobility at first stage and moving to larger IoT deployments nowadays. 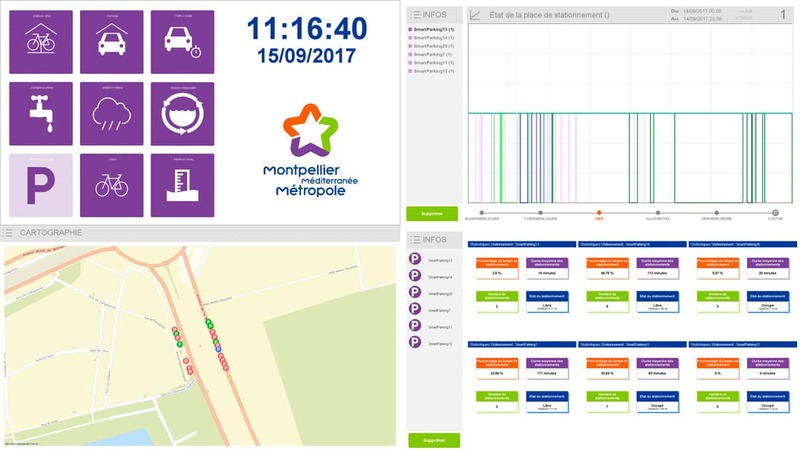 Montpellier Mediterranean Metropolis (Montpellier Méditerranée Métropole in French) is the public intercommunal structure which promotes all these IoT projects thanks to its commitment to the “Open Data” solutions to enrich the services offered to the citizens. 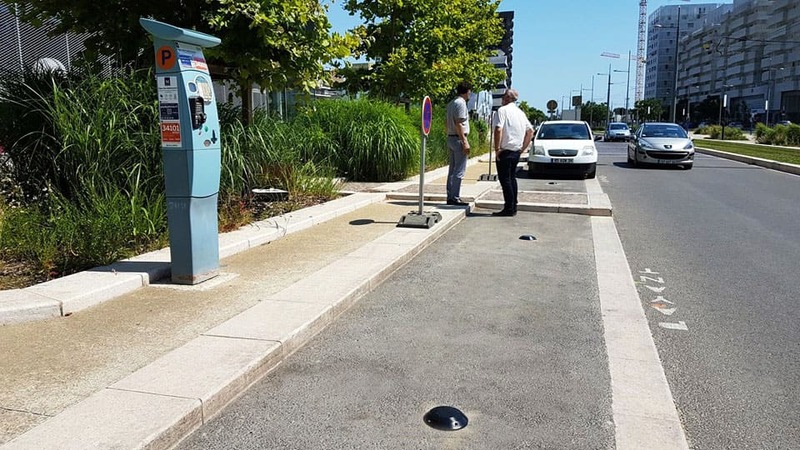 With its 10-years experience, the French company Synox has shared all its knowledge and know-how to Montpellier Mediterranean Metropolis with new and innovative urban services and particularly a smart parking solution, developed with Libelium’s technology, named “Connected Parking”. Synox, who is customer of Libelium’s official distributor Factory Systemes, is actively involved in smart cities projects since its foundation due to the fact that its mission aims to contribute to the development of urban services thanks to the new technologies. Some months ago, the company won a public tender of the Montpellier Mediterranean Metropolis which gave Synox the opportunity to benefit from a wide range of projects, involving inter alia different companies, start-ups, laboratories and universities. 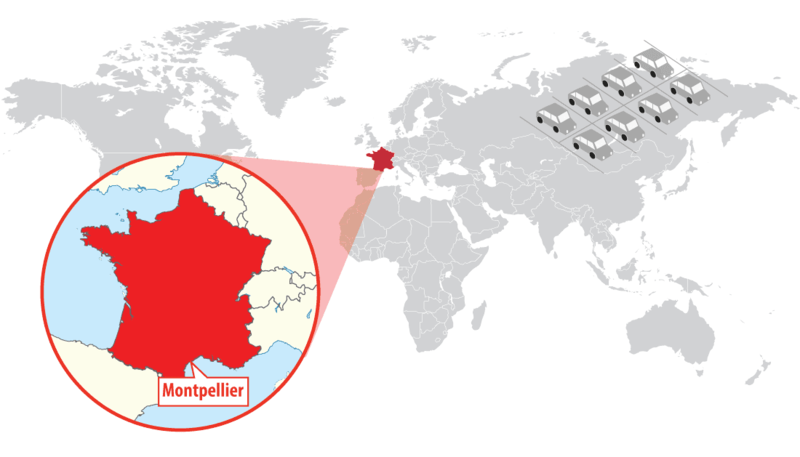 Along with the creation of this large-scale smart cities project, the Montpellier Mediterranean Metropolis set the stages for a private network based on LoRaWAN communication protocol. Some LoRaWAN antennas were installed by the company Synox in strategic locations on the urban area in order to give coverage to the upcoming smart cities projects. Montpellier shopping center has limited parking slots and there are traffic jams in some streets habitually. The main goal of this project was to make traffic more fluid and increase rotation at parking spaces near the town hall and a shopping center. 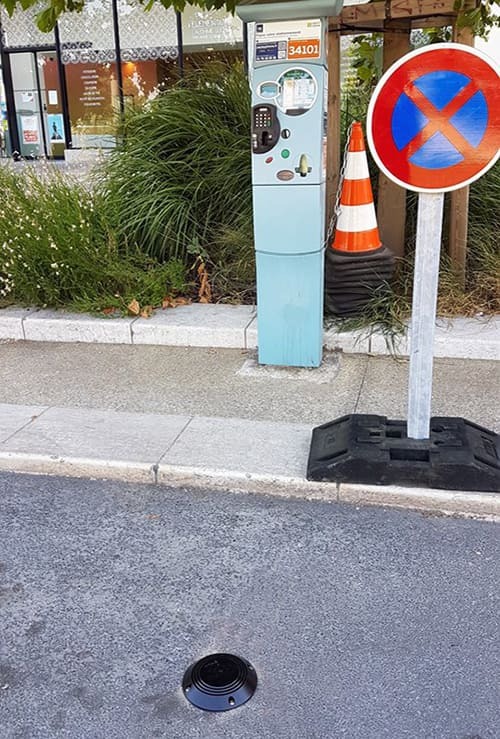 Twenty Smart Parking nodes were installed by Synox in two different areas of the city: six at the surroundings of the Montpellier Town Hall (Hôtel de Ville de Montpellier) and the rest on the nearby Parc Marianne district. 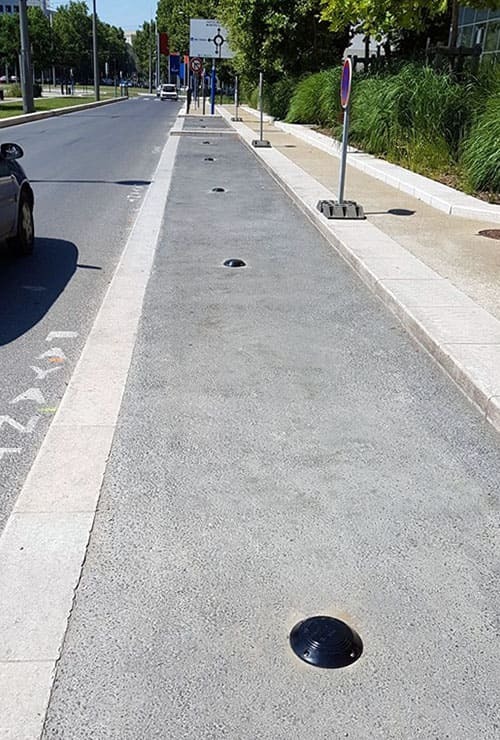 These devices were installed in the surface of the roadway on the parking areas for people with reduced mobility and delivery services with the aim to relieve congestion, streamline traffic, and improve access to car park areas. In the future, more people will benefit from this project since it is planned to enlarge the quantity of nodes throughout the territory of the metropolis. Besides, sensors also gather data about the temperature of the roadway which will be used by the metropolis road authorities to take action in case of the presence of ice sheets. 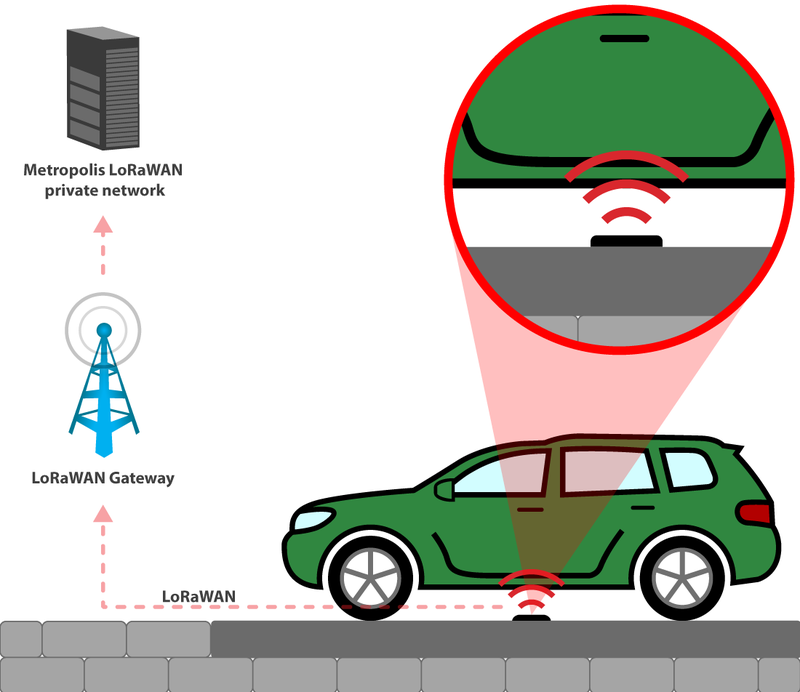 The Smart Parking sensor network is connected to the Metropolis LoRaWAN private network which has been deployed thanks to the expertise provided by Synox, who has built a specific infrastructure to allow the entity to keep sovereignty in the data from end to end. Data management displays show this real-time information and indicators of the use of car parking slots in order to improve the traffic conditions and diminish car parking search time. “Connected Parking” as part of the “Open Data” approach helps citizens to have more information and on-line data available. Users, laboratories and other start-ups can use this data and benefit from it, creating new services for smarter, more dynamic and environmentally friendly city. “The Smart Parking project made it possible to easily deploy on private LoRaWAN network infrastructure an analysis of the strategic car park availability, for the city mobility services, the City Police, and soon the citizens themselves. Have a better understanding and a better management of car park availability and traffic in the city is a major key point to improve citizen’s life”, explaines Jérôme Fenwick, CTO at Synox. Discover our Smart Parking Kits at The IoT Marketplace.